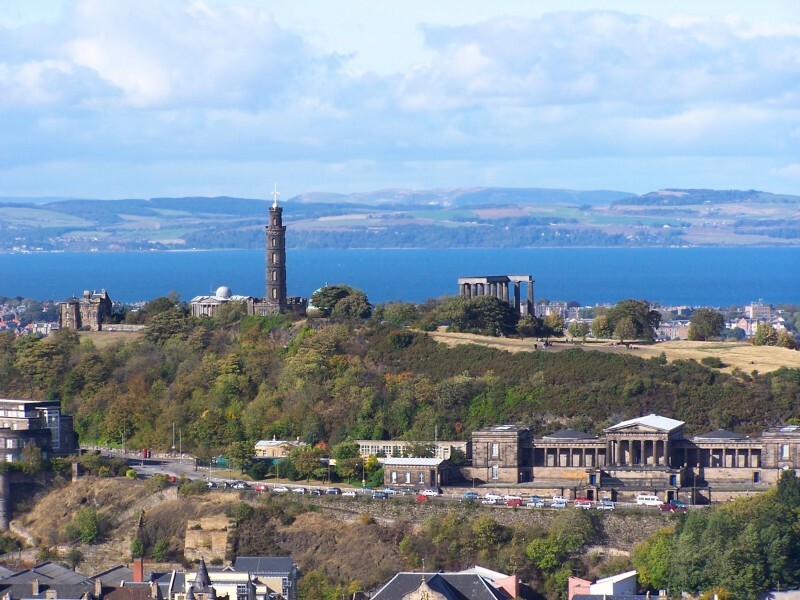 Edinburgh is the perfect place to experience everything I love about Europe– cobblestone roads, medieval buildings, a warren of hidden underground streets, and even some greenery within the city limits. The city of Edinburgh is big enough to keep you entertained, but small enough to keep it all manageable. 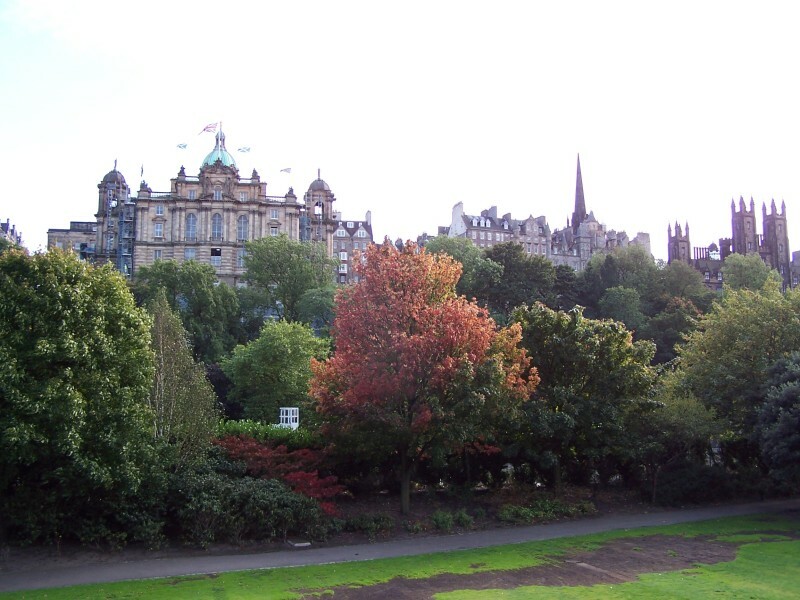 Walk the Royal Mile and in between sightseeing, you can visit some great local shops. Don’t miss a hike up Arthur’s Seat in Edinburgh– warning it can be scary if you’re afraid of heights. I asked my friend Emma to stop by Ness on her last visit to Edinburgh. We wrote about shopping the Royal Mile’s touristy souvenir type shops before (read about it here). While those shops might be fine for a cashmere scarf or mittens, you won’t find much in the way of fashion. So I was thrilled when I stumbled across an adorable pink and blue shop front in an old stone building on the Royal Mile. 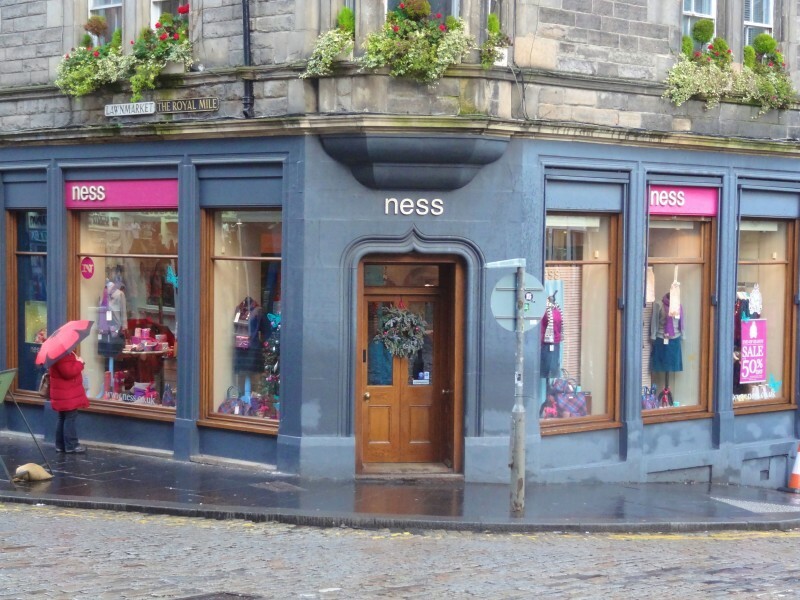 Ness turned out to be exactly what I was looking for in Edinburgh– a modern spin on traditional Scottish women’s clothes and accessories. 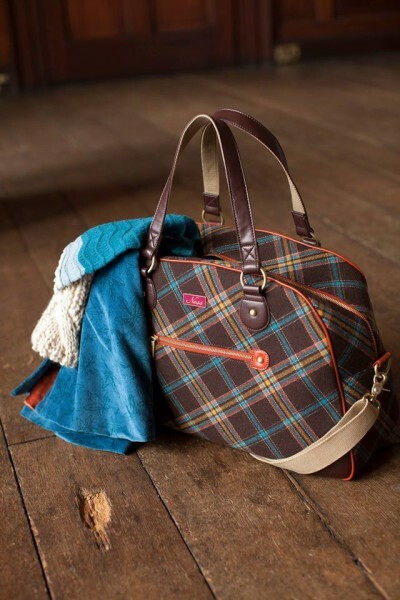 You won’t find stuffy, harsh colored tartans here– Ness’ plaids come in irresistible pastels and candy colors. The clothes at Ness have a tailored, slim fit and are totally wearable. A rainbow of wellies, perfect to brighten a walk across a Scottish moor. Gorgeous handbags and totes in every size and color. If you prefer your tartans in small doses, a little wallet or clutch is a great way to incorporate a wee pop of plaid into your wardrobe. Colorful woolens and knits. We loved these warm hats trimmed with pom-poms. Jackets and coats perfect for those country weekends. The coats had the traditional feel of a brand like Barbour, but with a little more flair (and a flattering modern fit). Proof that Emma and I share telepathic connection– here she selects a cute pair of knee socks– the identical knee socks that I bought on a previous trip. We found the prices at Ness to be incredibly reasonable. Bags range from £ 20-60, jackets from £ 60-150. Ness also has frequent sales and is a great place to pick up little gift items. Thanks to my fab friend Emma Spires who just came back from Edinburgh and snapped the Ness Shop photos. Have you been to Ness? What are your favorite shops in Edinburgh? Share in the comments below! 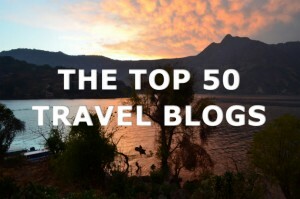 Great article about Edinburgh, Kristin! 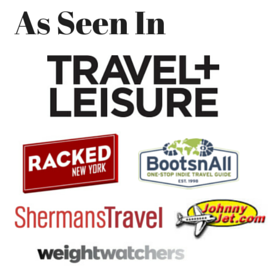 Frankly, though, before I’d start shopping for stuff I probably don’t need, I would want to do some serious sightseeing. To do that, I would start doing some research using a Fodor’s guide and some books about Scotland. For example, as a history buff, I’d like to know more about why Edinburgh is the capital of the country and not other cities like Glasgow or Aberdeen. I would want to know more about the clan system and the association with tartans. Here’s one tidbit for you readers: Do you know the title of Scotland’s national anthem and who composed it? I do: it’s called “A Man’s a Man for all That.” It was composed over two centuries ago by Scotland’s national poet, Robert Burns. I learned this nearly two decades ago while reading a Smithsonian magazine article about Burns and his poems (Smithsonian Magazine, September 2000 issue). Here’s another item: please do not think that the Broadway musical “Brigadoon” is a good (or bad) reflection about Scotland. Some Scotsmen and Scotswomen dislike the story as much as some Austrians dislike the von Trappe Family story from “The Sound of Music.” I learned about this dislike regarding “Brigadoon” while talking w/an actual Scottish couple aboard a cruise three years ago. This discussion was a revelation to me. A Man’s a Man isn’t the Scottish national anthem. Never has been. Should be though. National Anthem is Flower of Scotland written by Roy Williamson of folk group The Corries. Janet, thanks for the correction! Great article and photos. I enjoy sightseeing in the local markets and chatting with the shopkeepers who generally love to share all the lovely tidbits not found in guidebooks. Although I’m not a big shopper, I love bringing back items I will use such as those adorable knee socks to keep me warm and toasty in the winter. And when I do wear them, it’s like I’m back in the markets. Priceless. What kind of plaid and color does the Ross tartan have, Rolling Harbour? How do clans go about determining who is and who isn’t a clan member, by DNA, by genealogy, etc.? Thanks. oh no haha! Those must be some great memories. Perhaps bring to a charity shop for someone else to enjoy!